If you want to change the children's room is convenient to work from a theme. Is your son also fascinated by knights and horses? Enter this cool theme through with this beautiful navy blue fabric with cool knights. 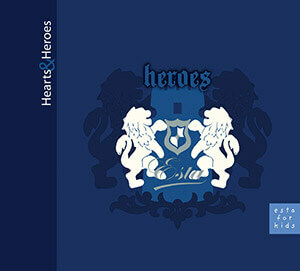 You will find this fabric with knights in navy blue (184916) the collection Hearts & Heroes.